An important read for dealers who want the ultimate competitive edge. 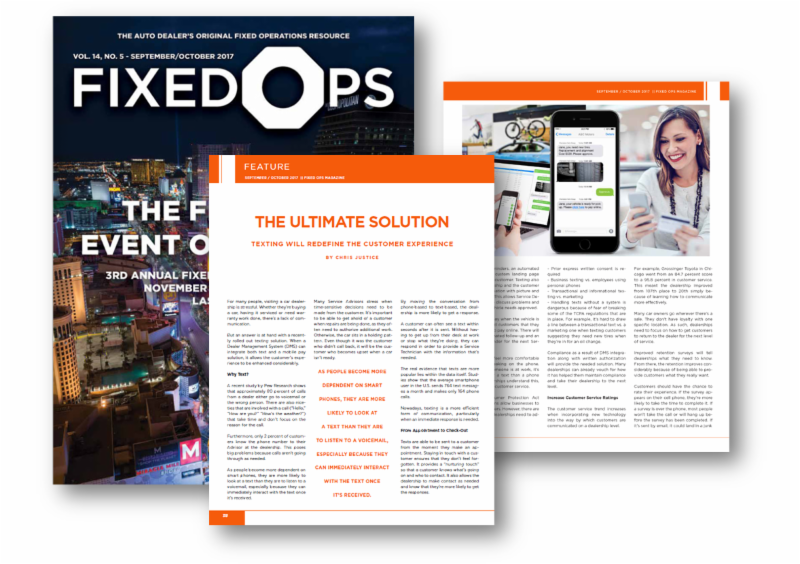 In a recent article in Fixed Ops magazine, author Chris Justice outlines how texting will redefine car dealerships’ customer experiences. 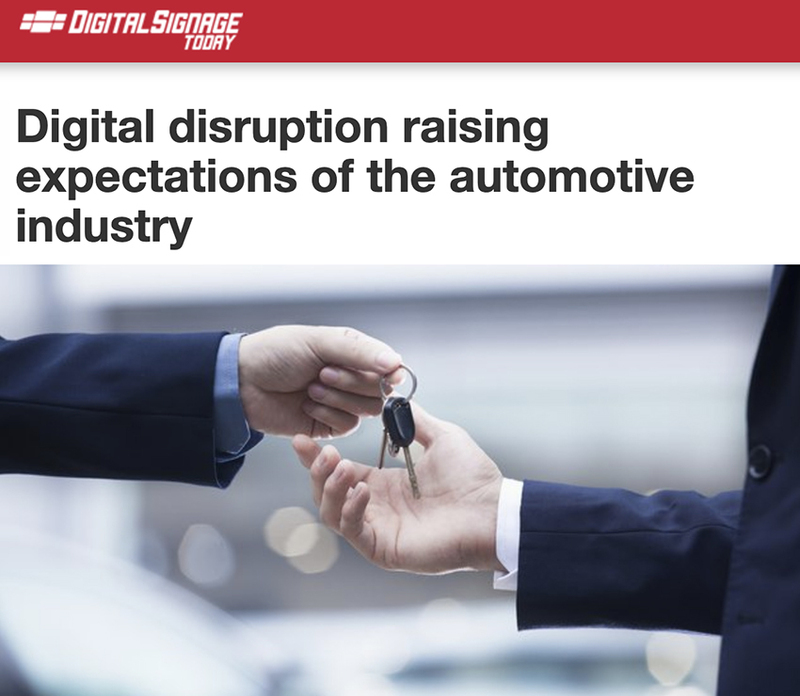 Justice goes on to describe the benefits that integrating this technology will provide to both the dealership and the customer. It’s clearly shown in the data how more and more customers are preferring communication and updates by text over more traditional phone calls and emails. Combine this texting technology with options for mobile payments, and you are now providing cutting edge technologies and conveniences. And you can be sure that your tech savvy customers will certainly appreciate the service! VenueVision’s autoTEXT and Mobile Cashier solutions allow you to integrate these technologies into your dealership’s processes, and ultimately improve your customer’s experiences. Improving your customer’s experiences is the only way to improve your customer service ratings, which in turn equals higher customer retention rates. Find out more about our autoTEXT and Mobile Cashier solutions and request a demo. Read the full article to find about all the benefits of embracing these technologies.